The Justice Department has been making a new push to target individuals more frequently to hold them accountable for corporate malfeasance. Much of the criminal liability in recent years has been cropping up in industries other than nuclear, as illustrated in the summary table in Part 1. The Deepwater Horizon drill rig explosion and the Massey Coal explosion at the Upper Big Branch mine have been leading examples. More recently the series of scandals involving automobile manufacturers are adding to the record. And the Flint water contamination situation is also evolving rapidly. We’ll discuss the significance of these cases and how it could impact the conduct of individuals responsible for safe nuclear operations and the role of regulation. In particular, under what circumstances criminal liability may attach and whether the potential to be held criminally liable is an effective force in assuring compliant behaviors and ultimately safety. Other cases followed a similar pattern until Upper Big Branch. Mostly lower level individuals were being targeted; higher ups were insulated from knowledge or direct involvement in the specific event. With Massey prosecutors worked their way up the management chain all the way to the CEO.5 However even where there were significant indications of the CEO driving a “production first” culture, the felonies he faced were based on securities fraud and making false statements. Ultimately he was convicted of violating safety standards and will serve jail time.6 Fukushima will be another attempt to hold senior management accountable (for something termed, “professional negligence”) but, as previously noted, the case is thought to be difficult. The Attorney General in the Flint water cases promises more indictments and implies higher ups will be charged. It remains to be seen whether this targeting of individuals will prove to be a truer preventive measure than other remedies. All of the recent experience involving corporations were guilty pleas - the cases did not go to trial and so the standard of proof was not tested. In the BP cases, the DOJ made quite a splash with its indictments of individuals but clearly overreached in charging as the courts and juries quickly dismissed most cases and all felony charges. Fukushima may be a bit of an oddity as the charges have been mandated by a citizen’s panel. The charge is “professional negligence” which probably does not have a direct analog in U.S. law. It does suggest that there will be scrutiny of the actual decisions made by executives which resulted in safety consequences. In the Flint cases, there will another attempt to review an actual safety decision. An engineer of the Michigan Department of Water Quality is charged with “misconduct” in authorizing use of the Flint water plant “knowing” it was deficient. Bears watching. Personnel are already in a difficult position when it comes to assuring safety. Corporations inherently, and often quite intentionally, place significant emphasis on achieving operational and business goals. These goals at certain junctures may conflict with assuring safety. The de facto reality is that it is up to the operating personnel to constantly rationalize those conflicts in a way that achieves acceptable safely. Those decisions are rarely obvious, may imply significant benefits or costs, and are subject to ex post critical review with all the benefits of time, hindsight, and no direct decision making responsibility. Thus the focus may shift from decisions to the culture that may have produced or rationalized those decisions. As noted in the media, “the automotive industry is caught up in an emissions rigging scandal that exposes systematic cheating and an apparent culture of corrupt ethics." At VW nine executives so far have been suspended but blame has been focused on a small group of engineers for the misconduct, and VW contends that members of its management board did not know of the decade-long deception. The idea that a few engineers are responsible “just doesn’t pass the laugh test,’ said John German, a former official at the Environmental Protection Agency…its management culture — confident, cutthroat and insular — is coming under scrutiny as potentially enabling the lawbreaking behavior.10 Mitsubishi Motors is also implicated and investigations are being launched into their peers – including Daimler and Peugeot – to assess the extent of the problem around the world. Similar concerns have arisen with regard to Fukushima where safety regulators have been perceived to lack independence from nuclear plant operators. And thinking back to Davis Besse, it seems that the NRC’s actions could have been more intrusive and proactive in determining the condition of the RPV head prior to allowing the inspections to be delayed. Whether these pending actions lead to a robust effort to hold regulators and their staff accountable is hard to know. It bears watching, particularly the contention by MSHA and other regulatory agencies including the NRC, that operators are primarily and ultimately responsible. In Part 3 we’ll share some thoughts on what might other approaches might be effective. 1 P. Loftus, "Criminal Trials of Former Health-Care Executives Set to Begin," The Wall Street Journal (May 22, 2016). 2 The Davis Besse case is prototypical of the way cases were handled in the past. The corporation pleaded guilty to making false statements and paid a big fine. Lower level individuals were found guilty of similar charges. In the Siemaszko trial the court was quite ready to attribute to the defendant knowledge of the content of NRC communications, whether directly prepared by him or not, or acquiescence in materials drafted by others that misrepresented conditions for the RPV. They also dismissed his contention that he lacked proper expertise. The court found that he knew and had a motive - keeping the plant running. There was testimony that higher management was the source of the operational pressure but culpability did not extend beyond the individuals making the actual statements and submittals to the NRC. 3 Transocean Deepwater Inc. also admitted that members of its crew onboard the Deepwater Horizon, acting at the direction of BP’s Well Site Leaders were negligent in failing fully to investigate clear indications that the well was not secure and that oil and gas were flowing into the well. Halliburton was the supplier of drilling cement to seal the outside of the drilling pipe. Its guilty plea admitted destroying evidence of instructions to employees to “get rid of” simulation analyses of the event that failed to show that Halliburton’s recommendations to BP would have lowered the risk of a blowout. [S. Mufson, "Halliburton to Plead Guilty to Destroying Evidence in BP Spill," The Washington Post (July 25, 2013).] This was an attempt to show that a decision by BP to use fewer pipe centralizers was a serious error contributing to the accident. 4 A. Viswanatha, "U.S. Bid to Prosecute BP Staff in Gulf Oil Spill Falls Flat," The Wall Street Journal (Feb. 27, 2016). 5 Notably the lower level managers pleaded to charges and did not go to trial. The acquittal of the CEO on felony level charges illustrates the challenges of proving these cases. 8 “carelessness which is in reckless disregard for the safety or lives of others, and is so great it appears to be a conscious violation of other people's rights to safety. It is more than simple inadvertence, but it is just shy of being intentionally evil.” Read more: http://dictionary.law.com/Default.aspx?selected=838#ixzz41W5CGRf0. 9 J. Ewing and G. Bowley, "The Engineering of Volkswagen’s Aggressive Ambition," The New York Times (Dec. 13, 2015). 11 The quote is from the case study and references the Governor’s investigation - McAteer, J. D., Beall, K., Beck, J. A., Jr., McGinley, P. C., Monforton, C., Roberts, D. C., Spence, B., & Weise, S. (2011). Upper Big Branch: The April 5, 2010, explosion: A Failure of Basic Coal Mine Safety Practices (Report to the Governor). 12 M. Davey and R. Perez-Pena "Flint Water Crisis Yields First Criminal Charges," New York Times (April 20, 2016). Nuclear safety management and culture relies on nuclear personnel conducting themselves in accordance with espoused values and making safety the highest priority. When failures occur individual workers may be (and often are) blamed but broader implications are generally portrayed as an organizational culture deficiency and addressed in that context. Only rarely does the specter of criminality enter the picture, requiring a level of malfeasance - intentional conduct or recklessness - that is beyond the boundaries of conventional safety culture. 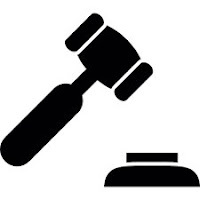 The potential for criminal liability raises several issues. What is the nexus between safety culture and criminal behavior? What is the significance of the increased frequency of criminal prosecutions following major accidents or scandals in nuclear and other industries? And where does culpability really lie - with individuals? culture? the corporation? or the complex socio-technical systems within which individuals act? If one has been paying close attention to the news fairly numerous examples of criminal prosecutions involving safety management issues across a variety of industries and regulatory bodies is occurring. It is becoming quite a list of late. We thought this would be an appropriate time to take stock of these trends and their implications for nuclear safety management. We have prepared a table* summarizing relevant experience from the nuclear and other high risk industries. (The link is to a pdf file as it is impractical to display the complete table within this blog post.) Below is a table snippet showing a key event: the criminal prosecutions associated with the Davis Besse reactor vessel head corrosion in 2001/2002. First Energy, the owner/operator, pleaded guilty to criminal charges and two lower level employees were found guilty at trial. A third individual, a contractor working for First Energy, was acquitted at trial. More currently high level executives of TEPCO, the owner/operator of the Fukushima plant in Japan, were charged, though the circumstances are a bit odd. Prosecutors had twice declined to bring criminal charges but were ultimately overruled by a citizens panel. The case is expected to be difficult to prove. Nonetheless this is an attempt to hold the former TEPCO Chairman and heads of the nuclear division criminally accountable. The only other recent examples in the U.S. nuclear industry that we could identify involved falsification of documents, in one instance by a chemistry manager at Indian Point and the other a security officer at River Bend. ** One has pleaded guilty and sentenced to probation; the other case has been referred to the U.S. Department of Justice (DOJ). Looking beyond nuclear, the picture is dominated by several major operational accidents - the Deepwater Horizon drill rig explosion and the explosion of the Upper Big Branch coal mine owned by Massey Energy. Deepwater resulted in guilty pleas by the three corporations involved in the drilling operation - BP, Transocean and Halliburton - with massive criminal and civil fines. BP’s plea included felony manslaughter. Several employees also faced criminal charges. Two faced involuntary manslaughter charges in addition to violations of the Clean Water Act. The manslaughter charges were later dropped by prosecutors. One employee pleaded guilty to the Clean Water Act violations and was sentenced to probation, the other went to trial and was acquitted. The Massey case is noteworthy in that criminal charges ultimately climbed the corporate ladder all the way to the CEO. Ultimately he was acquitted of felony charges of securities fraud and making false statements, but he “was convicted of a single count of conspiring to violate federal safety standards; he was not convicted of any count holding him responsible for the 2010 accident at the Upper Big Branch mine.”*** It “is widely believed to be the first CEO of a major U.S. corporation to be convicted of workplace safety related charges following an industrial accident.”**** Three other individuals also pleaded or were found guilty of misdemeanor charges. Next up are the auto companies, GM, Volkswagen and Mitsubishi. The GM scandal involved the installation of faulty ignition switches in cars that subsequently resulted in a number of deaths. GM entered into a plea agreement with DOJ admitting criminal wrongdoing and paid large monetary fines. As of this time no criminal charges have been brought against GM employees. VW and Mitsubishi have both admitted to manipulating fuel economy and emissions testing and there is speculation that other auto manufacturers could be in the same boat. The investigations are ongoing at this time but criminal pleas at the corporate level are all but certain. Last in this pantheon is the city of Flint water quality scandal. The Attorney General of Michigan recently filed criminal charges against three individuals and promised “more charges soon”. The interesting aspect here is that the three charged are all government workers - one for the city and two for the Michigan Department of Environmental Quality. And the two state officials have been charged with misconduct in office, a felony. Essentially regulators are being held accountable for their oversight. As David Ullmann, a former chief of DOJ’s environmental crimes section, stated, “It’s extremely unusual and maybe unprecedented for state and local officials to be charged with criminal drinking water violations.” This bears watching. In Part 2 we will analyze the trends in these cases and draw some insights into the possible significance of efforts to criminalize safety performance. In Part 3 we will offer our observations regarding implications for nuclear safety management and some thoughts on approaches to mitigate the need for criminalization. * Criminal Prosecutions of Safety Related Events (May 22, 2016). ** We posted on the Indian Point incident on May 12, 2014 and the River Bend case on Feb. 20, 2015. *** A. Blinder, "Mixed Verdict for Donald Blankenship, Ex-Chief of Massey Energy, After Coal Mine Blast," New York Times (Dec. 3, 2015 corrected Dec. 5, 2015). **** K. Maher, "Former Massey Energy CEO Sentenced to 12 Months in Prison," Wall Street Journal (April 6, 2016). The full article may only be accessible to WSJ subscribers. 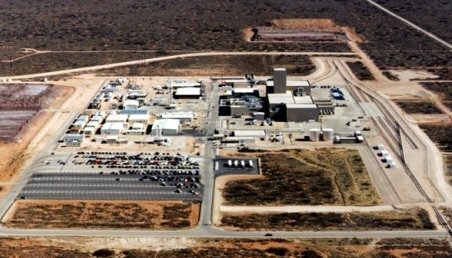 On Feb. 14, 2014, a drum containing radioactive waste exploded at the Department of Energy (DOE) Waste Isolation Pilot Plant (WIPP) resulting in the release of americium and plutonium into the environment. In our May 3, 2014 review of the DOE’s phase 1 accident report, a weak safety culture (SC) was deemed a significant contributing factor to the incident. The plant has yet to resume normal operations. Over the last two years, DOE and Nuclear Waste Partnership (NWP, the prime contractor) have made efforts to strengthen the SC at the WIPP. Following are two data points we can use to infer how much progress they’ve made. The objective portion comprised 75% of the total potential fee and NWP was awarded 89.7% of that amount ($9,194K). Only one objective criterion appears related to SC, viz., “reducing preventive and corrective maintenance backlogs” and NWP received the full fee possible, $550K out of $550K. The Feb. 2014 explosion occurred because Los Alamos National Laboratory (LANL) shipped ignitable waste to WIPP even though the existing Waste Acceptance Criteria (WAC) prohibited such action. Currently, other LANL-generated drums containing potentially ignitable waste are securely stored at WIPP. The performance fee awards indicate that NWP needs to keep working to strengthen its SC to an acceptable level. The DSA issue is more troublesome. What kind of effective SC would blow off (pun intended) its responsibility to consider the possibility of recurrence of exactly the kind of problem that occurred before and caused the WIPP to be shut down for over two years? We criticize other organizations for over-analyzing the specifics of individual accidents while ignoring other possibilities, especially systemic issues, but in this case, NWP and DOE are not even reaching the lowest perceptible bar of repeat incident prevention. We’ll give the DNFSB points for raising the DSA issue but take away some points because they didn’t make a straightforward recommendation that NWP and DOE complete a more thorough analysis of the specific hazard of another drum of prohibited waste slipping through the system and into the underground. At best, we can say the SC at the WIPP is incrementally improved. DOE has always taken a half-hearted approach to SC and their lack of commitment is visible here. * T. Shrader (DOE) to P. Breidenbach (NWP), "Contract DE-EM0001971 Nuclear Waste Partnership LLC - Award Fee Determination for the Period October 1, 2014 through September 30, 2015, and FY2015 Fee Determination Scorecard for Total Earned Award Fee and Performance Based Incentives" (April 12, 2016). ** J.L. Connery (DNFSB) to E.J. Moniz (DOE), letter with DNFSB Staff Issue Report “Waste Isolation Pilot Plant Documented Safety Analysis” dated Jan. 13, 2016 attached (Mar. 28, 2016).